High school students have the opportunity to prepare for an exciting career in modern manufacturing by participating in the 360 eTECH Online & Hands-On Manufacturing Education Program. This spring 2018 semester, five students graduated from this program with a college certificate. Two graduates earned a 16-credit Production Technologies certificate and three graduates earned a 30-credit Welding Technology certificate. The 360 eTECH program incorporates both online and hands-on learning. Students complete online coursework at their high schools and attend weekend welding skills labs at a nearby college. 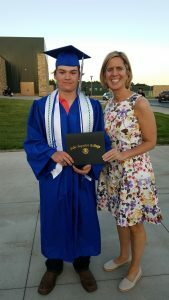 Michael Durheim celebrates his graduation from 360 eTECH with Sue Selland-Miller, Director of Manufacturing Education Programs. These graduates have gained entry level, employable skills in the high-demand manufacturing field, as well as earned college credit. They will be able to take the credit and apply it to an advanced manufacturing degree at an accredited 2-year college or enter the workforce with foundational manufacturing knowledge. Because the credits taken through the 360 eTECH program easily transfer to many colleges throughout the state of Minnesota, it is a favorable option for students who are interested in the manufacturing field. 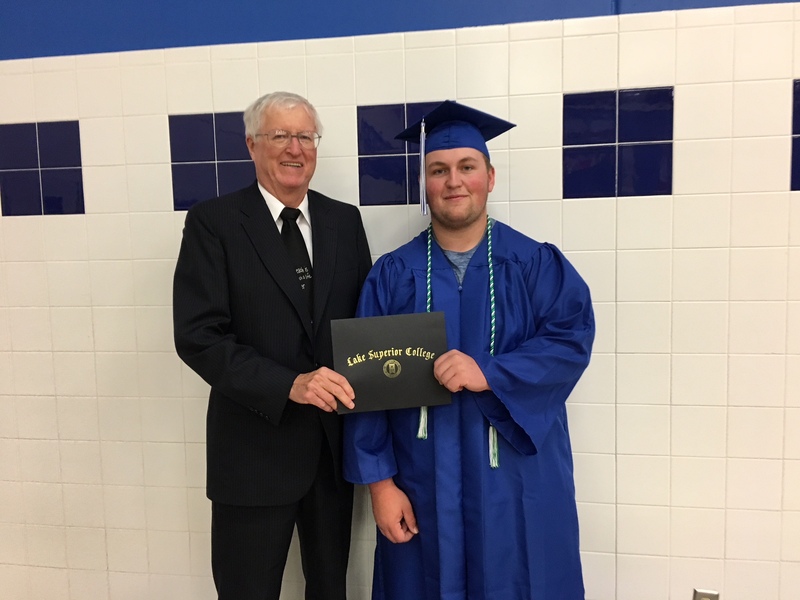 Wyatt Baker, a graduate of Cook County High School and the 360 eTECH program, pictured with Jim Schwarzbauer, Lake Superior College Perkins Coordinator. “It’s hard to talk in a tangible way to high school students about meaningful careers after high school, but the 360 eTECH program helps kids learn about and develop real career skills,” said Kris Hoffman, Counselor at Cook County High School. To learn more about the 360 eTECH Online & Hands-On High School Manufacturing Education Program visit 360etech.org, or contact Sue Selland-Miller, Director of Manufacturing Education Programs, at (218) 755-2208 or sue.selland@bemidjistate.edu.